Families are important to us. We love to provide a memorable, special experience for all our divers. Diving for Woman and Kids – the SeaUrchin Diving Center is a Diving School for the whole family. We know through our experience that diving is an excellent sport for families or couples because diving is a collaborative experience without competitive thoughts. We bring children closer to the beauty of diving and the underwater world with specific courses, tailored to fit their needs. Kids will have the opportunity to explore the underwater world in a playful way while staying in a very shallow depth due to safety and security reasons. Katharina is enthusiastic about encouraging and guiding women and children who are interested in diving. 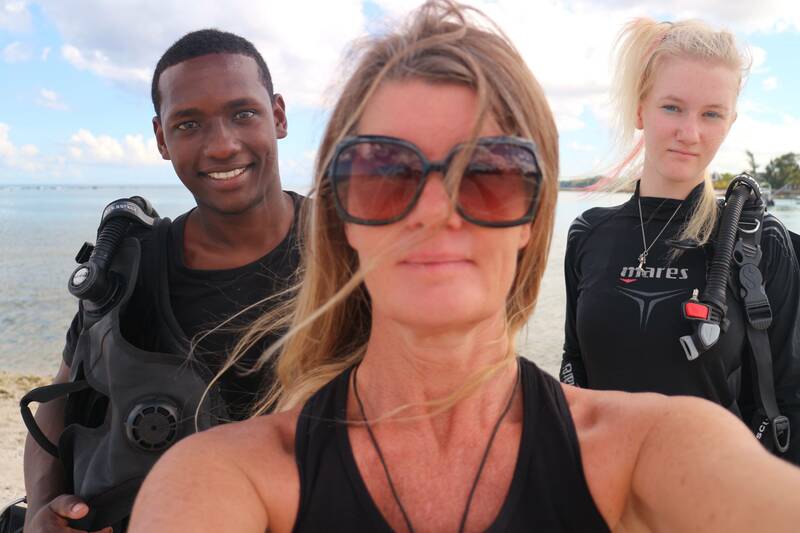 Being the only diving school owned and managed by a woman on the whole Island of Mauritius. The SeaUrchin Diving School has the highest proportion of female employees in Mauritius when it comes to Diving Schools. “Thereby we want to demonstrate that the diving industry should no longer be dominated by men and that women can do the job as good and even better”. During our professional experience, we’ve been trying to figure out why women often have more difficulties in taking their first steps towards diving. We’ve found that this is often related to their state of mind, for example, a fear of the unknown, uncertainty or lack of confidence in themselves or even in the ability of their instructor. By knowing this we try to disengage each diver from any pressures or constraints whilst also caring for their individual needs. We provide the support they require in order to conquer the world of Scuba diving.